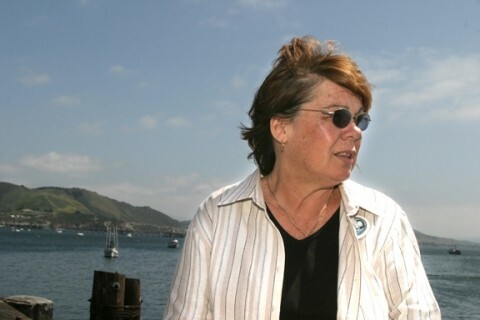 KRISTIN SMARTÂ An accomplished swimmer, she loved to travel and was a Speech-Com major. Â Â Â Terry Black is an angry man. So angry, in fact, heâ€™s willing to part with $25,000 of his own money as a reward to anyone who finds Kristin Smart. â€œThere is enough information out there to solve this case right now if somebody gets out there and does this,â€? Black says. â€œIâ€™m mad. I have a 25-year-old daughter myself.â€? Â Â Â Â The case to which Black refers is no secret to anyone who has lived in SLO County during the past ten years. It involves the disappearance of Kristin Smart, a 19-year-old Cal Poly freshman who vanished in the early-morning hours of May 25, 1996, and hasnâ€™t been seen since. Although itâ€™s never been proven, most people think she was a victim of foul play, that she was either murdered or accidentally killed, and then buried. Numerous investigations by local police, the sheriffâ€™s department, and the FBI have failed to locate her, nor have they led to the arrest of any suspects â€” although Paul Flores, who met Kristin at a party the night she disappeared and was the last person to see her alive, was once viewed with suspicion by investigators. Â Â Â Despite nationwide media attention, an infamous Web site devoted to the case (sonofsusan.com), and a $75,000 reward, the mystery continues. Black doesnâ€™t care whoâ€™s responsible â€” he just wants closure for the Smart family. â€œIâ€™m just looking for this kidâ€™s body,â€? he says. 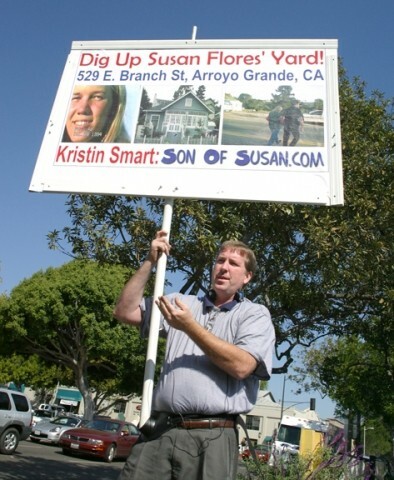 â€œI want information leading to the whereabouts of Kristin Smart, and I believe $25,000 will jog some memories.â€? Â Â Â Black says he was shocked into the case 18 months ago, when his younger brother Byron, while working at a gas station in Pismo Beach, told him heâ€™d overheard an account by a co-worker of how Kristin was killed. According to Black, when he contacted local authorities with the information, he was stonewalled. Then last fall when he heard the Flores family is suing the Smarts for distress, it added fuel to his fire. â€œThey end up with a dead daughter, missing, the police canâ€™t find her, and now theyâ€™re being sued for harassment,â€? Black says. â€œWhen I found that out, I went ballistic. I will remain ballistic until this matter is dealt with.â€? Â Â Â Denise Smart, Kristinâ€™s mother, says she always appreciates the help of others in pursuit of the truth, but itâ€™s difficult. â€œIâ€™m beyond delighted because over the years many, many people have come along and say theyâ€™re going to help. They mean well, but they never do it,â€? she says. â€œItâ€™s hard going up and down all the time, but Terry is backing up his words, so were really excited about it.â€? Â Â Â Dennis Mahon, whose controversial Web site about the Smart case has also been the object of several lawsuits over the past seven years, hopes Blackâ€™s efforts provide some answers: â€œI think he means what he says.â€? Â Â Â Thereâ€™s no doubt Black has the means. He owns an exclusive estate used as a private club and spa called Grand Island Mansion in the delta not far from Sacramento. He also negotiates land issues between Native Americans and the government. But thereâ€™s no negotiating with the Smart case. â€œIâ€™m tired of hearing about this story,â€? he complains, â€œand am tired that the community of a bunch of wealthy retired people and a bunch of bright college students canâ€™t put two and two together and come up with the location of a body hidden by a drunk and a bunch of slobbering crankhead gas station attendants.â€? Â Â Â Black is paying $1,200 for a full-page newspaper ad in New Times announcing his offer. It is scheduled to run next week. â€œI am not pointing fingers in this ad,â€? he explains. â€œIâ€™m only interested in generating a sense of public outrage, or at least conscience, about a crime that I think is a blight on your community for not having been solved.â€? Â Â Â Kristin Smart was legally declared dead in May 2002, but the case is still open. Denise and her father, Stan Smart, have renewed their wrongful death suit against the Flores family. Denise tells New Times she is frustrated by the lack of cooperation on the part of the sheriffâ€™s department: â€œWeâ€™d like them to call us once in awhile and let us know whatâ€™s newâ€¦ no matter if there is, or isnâ€™t. Itâ€™s hurtful to think sheâ€™s been forgotten.â€?